First and foremost does the office water delivery service offer you and your people the highest quality of filtered, bottled water at the most affordable rate? Having great tasting water on hand for your people is an easy and affordable way to improving your working environment. Staying hydrated is hugely important for keeping focused, headache free and beating the afternoon slump. Keeping the proper hydration balance is made much easier when the water you’re drinking has a pure, delicious taste. 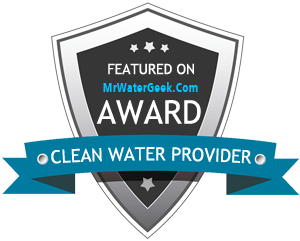 When you get your water from Clearly Colorado you have the peace of mind that comes with knowing your water is the purest and of the highest quality available. What about water cooler options? While the office bottled water cooler is an iconic accessory, there are more options available today to choose from thanks to advances in filtration technology. The company you choose should offer you the state of the art bottleless water purification stands. These point of use coolers supply the same high quality of water without the labor hassle that is lifting those 40 pound bottles every time your cooler runs out. They don’t require any storage space for unused bottles, and best of all with a sleek, modern looking point of use filtration system your invoice is the same no matter how much water you consume. What about office refreshment options? An office water delivery company can also offer your workspace more than simply water. Go a step further by adding more office refreshments and their accessories to your break area. Keep your clients and employees buzzing with the perfect cup of coffee every time. Add to their enjoyment of all cold beverages with delicious nugget ice from a quality ice machine. All of these office perks and more are available at affordable monthly or quarterly rates. Simply contact Clearly Colorado today for a free quote and to inquire about a free trial in your office!